Every November, 50,000+ runners travel from all over the world for a chance to run through all five New York City Boroughs. Along the way, they see a sea of spectators and beautiful views of the city. 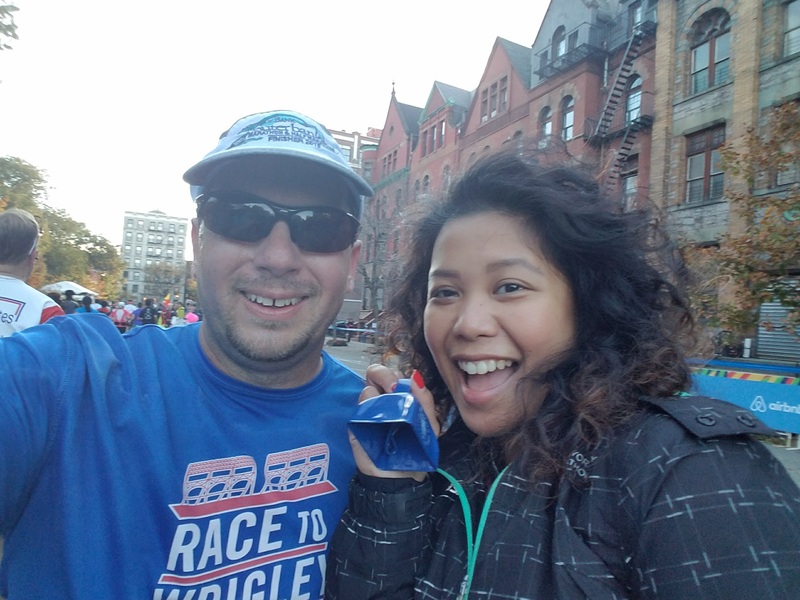 I’ve been wanting to run the New York City Marathon since I finished my first Chicago Marathon in 2006. But that’s easier said than done. The NYC Marathon is not an easy race to get into. There are some guaranteed entries available but the majority of people get in via a lottery system. But so many people apply each year that only about 12% of applicants actually get picked. 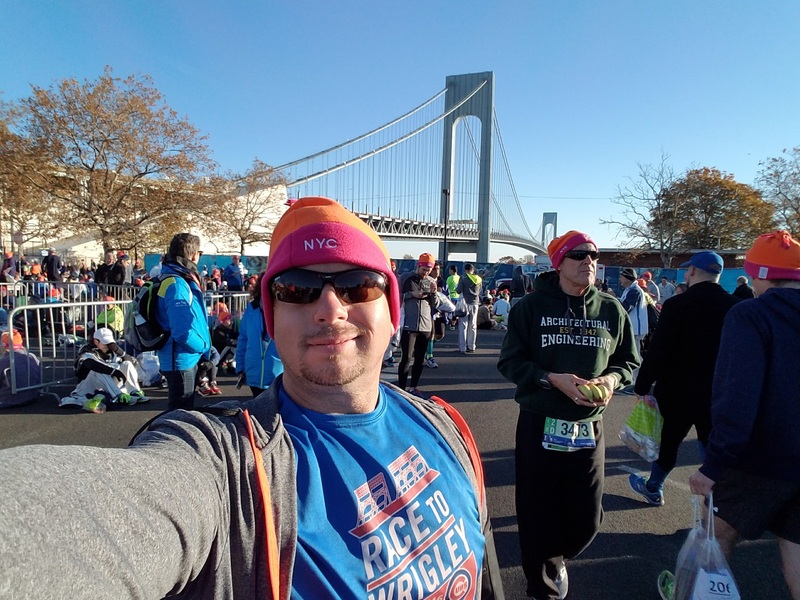 I entered New York City Marathon lottery for years with no luck. This year, I almost deleted my acceptance email by mistake. I saw “TCS New York City Marathon” as the first half of subject line and assumed the second half would say “not accepted”. When I read the words “You’re In!”, I did a double take. Then I stared at my screen for a couple seconds to let what I had just read sink in. Six months later I was crossing the finish line. 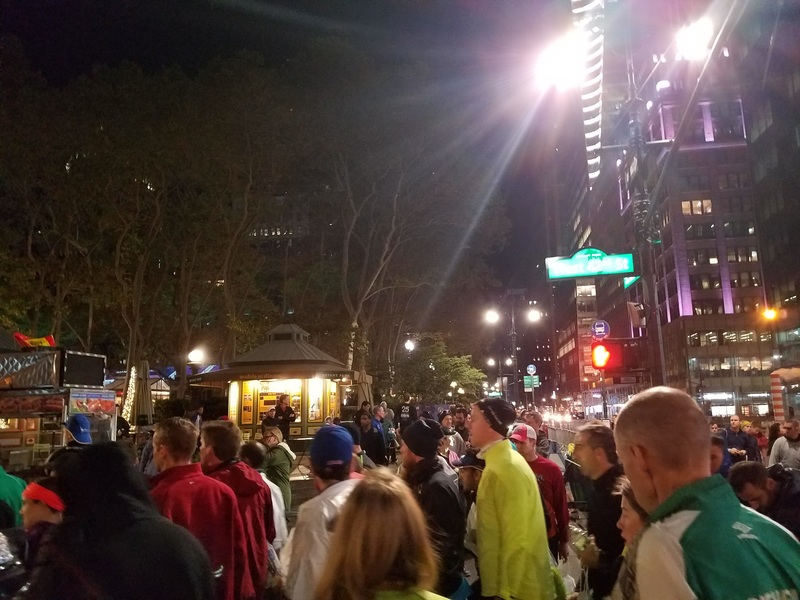 So, after years of waiting and months of training, did the New York Marathon live up to all the hype? Absolutely…. I arrived in New York City the Friday before the Marathon. 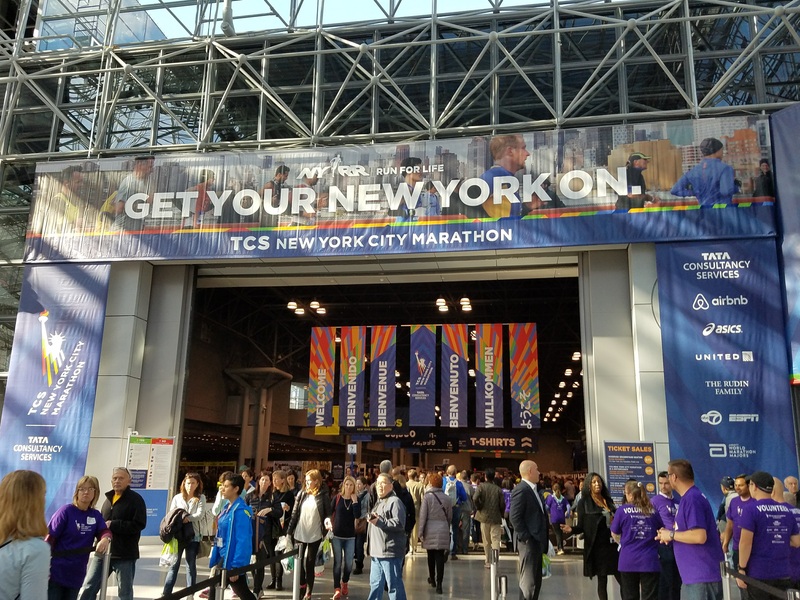 I headed straight from the airport to the race expo at Javits Center. For as big as this expo is, it’s also surprisingly well organized. Packet pickup was smooth and even though the crowds were thick, it was pretty easy to get around. 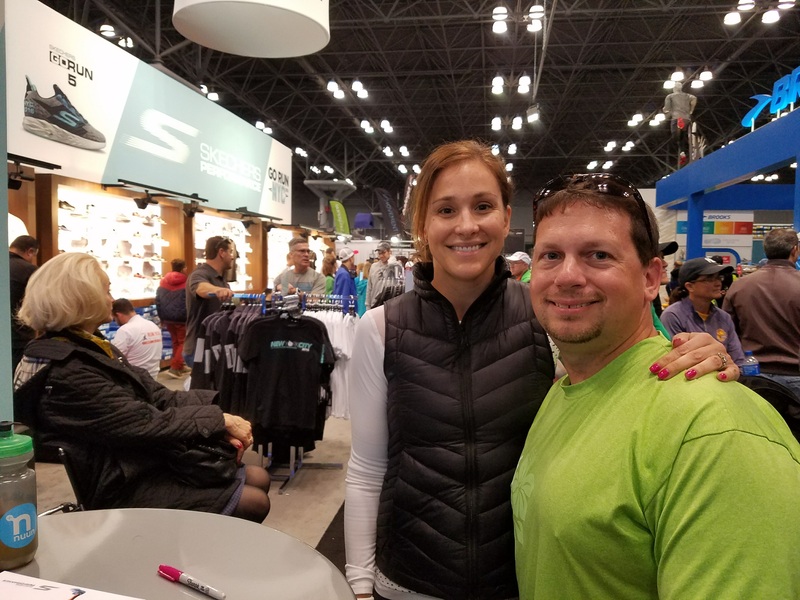 I also got to take a picture with Kara Goucher. Besides the expo, there are a number of marathon related events on Friday and Saturday. Runners can attend the parade of nations, a pasta party, and even compete in a 5K that shares the same finish line as the marathon. I wanted something with a little more of an off the beaten path feel though. 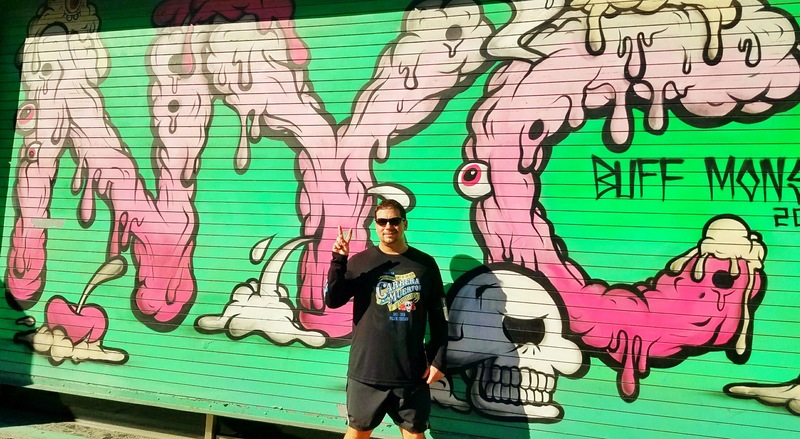 So I went for three mile shakeout run / street art tour through SoHo, Chinatown and Little Italy with a local running group called RunStreet on Saturday morning. If you’re ever in New York and looking for a fun way to get a run in, you should check them out. Something that I didn’t fully understand about the New York Marathon until I actually ran it is that it’s an all day affair. I’ve run plenty of marathons that started at 8am and were over by 12:30. That gave me several hours the afternoon to recover and refuel. That’s simply not possible in New York. The race starts in Staten Island, creates a logistical issue for the race organizers. The Verrazano-Narrows Bridge and Staten Island Ferry are the only two ways to get to the island. At the same time, during the first two miles of the race, runners cross the Verrazano-Narrows Bridge. So the organizers have to get 50,000 runners to Staten Island, stop the ferry and close the bridge to traffic and then get all those runners back across the bridge going the other way. It takes time to move that many people back and forth. So the only way to do it is to make sure everyone gets to Staten Island as early as possible. I woke up at 3:30am on race day, got dressed and headed to the subway. The subway took me to Fifth Avenue. From there, I walked about a half mile walk to the New York City Public Library. When I got to the library, I stood in line for about a half hour to board a shuttle bus that took me to Staten Island. I got to Staten Island around 7:00 and walked to my starting village village. The race organizers assign every runner to one of three color coded starting villages. This helps to keep crowds and bathroom lines to a minimum. It also ensures that the crowds on the bridge are adequately spread out since each village starts in a different spot (left lane vs right lane, top vs bottom). To further divide up the crowds, the race organizers assign each runner to one of four waves based on their estimated finishing time. Then within each wave, runners are assigned to one of ten corrals. The wave and corral combination determines each runner’s approximate starting time. My start time wasn’t until 10:15 so I had a couple hours to take pictures and chat with other runners. Waking up almost 7 hours before a race and then using multiple modes of transportation to get to the start line seems like it would be a long rough morning. It really isn’t though. There was so much to take in that time passed by a lot faster than I thought it would. I was in awe of how well run the entire process was. Information booths, breakfast tents and port-a-potties were everywhere. I never stood in any line for more than 5 minutes. Gear check was also easy to find and there were audio and written directions for everything in multiple languages. Usually the temperature in New York City is in the 30’s or 40’s on race morning. This year was slightly warmer. The temperature was in the mid 40’s at the start line and warmed up to the mid 50’s after a couple hours. I don’t think I could have asked for better running weather. My corral opened at 9:40. I made one last quick bathroom stop and headed towards the bridge. As I was walking,I felt butterflies start to build in my stomach. I heard the cannon go off to start the race and watched the elite runners take off across the bridge as my own corral moved closer to the start line. The next thing I knew, it was time to run…. 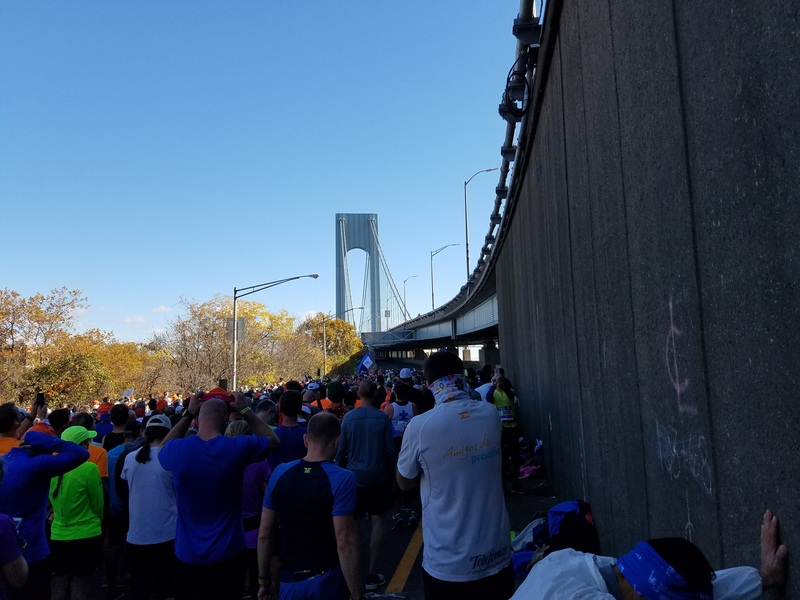 The Verrazano-Narrows Bridge is one of the best starting points of any race anywhere. The first mile of the race is an incline, but energy and adrenaline levels are so high that it flies by. 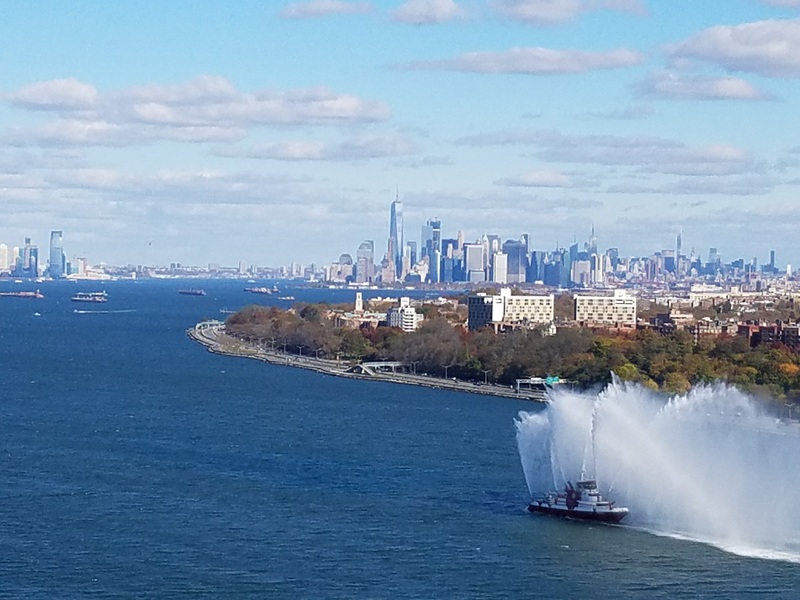 Some advice I got from people who had run the New York Marathon before me was to not get overly excited and go out too hard on the bridge. This was tempting to do. I had to keep reminding myself that there was still a long way to go. Mile 2 is a nice decline on the opposite side of the bridge. 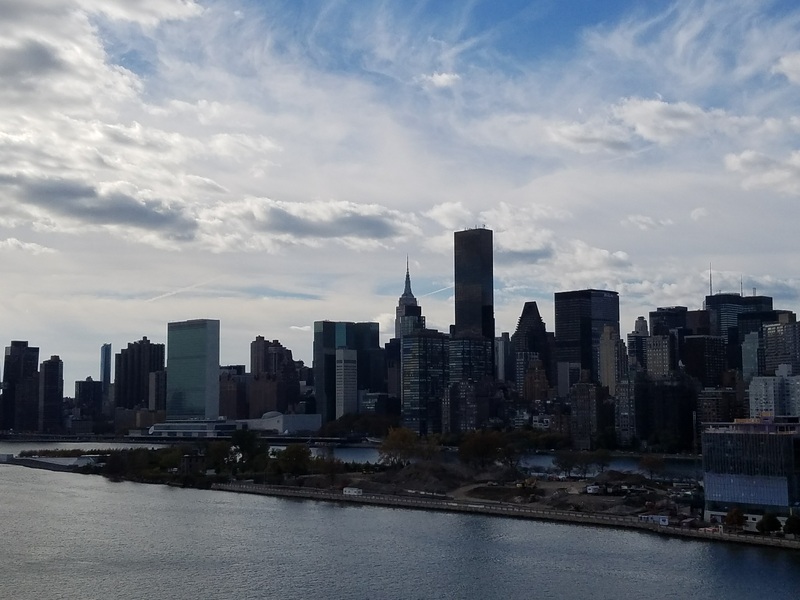 It offers a beautiful view of the New York City Skyline as runners head towards Brooklyn. Miles 3 through 13 go through the streets of Brooklyn. The crowds of spectators are thick at this point. There are plenty of signs, cheering and high fives throughout the entire borough. I also counted at least ten bands playing alongside the course. Some of them were officially booked by the race sponsors. Others just showed up and started playing. Some runners stopped to dance or raised up their hands when they heard their favorite songs. The race wasn’t even halfway over yet and the crowds were thicker than what I’ve seen at a lot of finish lines. Just before the halfway point, the course enters Queens. The crowds here were just as thick as they were in Brooklyn. This was a good thing because I needed the energy to help push me across the Queensboro Bridge. This two mile long bridge covers most of miles 15 and 16 and was the toughest point of the course for me. Spectators aren’t allowed on the bridges so there’s no any cheering. And the incline leading up to mile 15 is one of the toughest on the course. I felt like the silence and long slow climb were going to last forever. Although one bright spot was the nice view of Manhattan from the top. After finally exiting the bridge at Mile 16, the course turns onto First Street and heads through Manhattan. Runners call this area Thunder Alley because the loud screams from the spectators echo off of the surrounding buildings. It felt amazing to be greeted with cheering that was almost as loud as any rock concert I’ve ever been to. The cheers helped to power me through the next four miles, which went straight down first street. I was also happy to see my friend Marnie at mile 19. Mile 20 heads through the Bronx. This is a wonderful part of the course. The spectators are amazing and the architecture is beautiful. I wished that more of the course had been there. Right after the Bronx, the course heads back towards Manhattan. Miles 21 and 22 head through Harlem. There’s some great culture and music at this point of the course and I was lucky enough to run into another friend who helped to perk me up just as I was starting to hit a wall. Marianne – you rock! Mile 23 heads up 5th avenue towards Central Park. After the Queensboro bridge, this was the next toughest part of the course for me. The entire mile was almost completely uphill. The incline wasn’t terrible, it felt pretty rough after 23 miles. If I was going to stop and walk at any point during this race it would have been here. I kept reminding myself that if I stopped running, my legs probably weren’t going to want to start again. I didn’t want to find myself walking the rest of the course. So I kept my head down and pressed on. The course enters Central Park at Mile 24. Some friends warned me about this part of the course as well. It’s exciting to see the Central Park sign. A lot of runners are tempted to let it rip and head towards the finish line with everything they’ve got left. Unfortunately, a lot of people who do this also bonk out in the middle. Two miles at the end of a marathon is harder to run than it seems. Also, even though the beginning of this stretch is downhill, there are still a couple challenging hills to go before the end. This is great advice, but to be honest, the last couple miles weren’t as bad as I thought they were going to be. There were definitely some hills, but I was so overwhelmed with thoughts of “wow, I’m really going to do this…. I’m about to finish the New York Marathon!! !” that I didn’t care about them. I kicked out those last couple miles as hard as I could. I couldn’t believe how awesome I felt when I crossed the finish line. I’m not going to spend much time talking about the finisher’s corral. After the race, I had to walk about seven blocks to retrieve my gear check bag and exit the park. Some of them were uphill. Runners complain about this every year, but I don’t think there’s much that the race organizers can change to make it any better. On the positive side, people don’t seem to mention that once you do get out of Central Park, the Subway entrance is literally right across the street. It’s a long walk on tired legs, but everything else is pretty easy from there. The day after the marathon, runners can go back to Central Park to shop for finisher gear and get their medals engraved. Unlike a lot of other marathons, most runners wear their medals around the city all day on Monday too. A lot of shops and restaurants give discounts and freebies to anyone wearing a medal. Normally at this point, I’d spend some time talking about things to see around town and good places to eat. But in this case…. it’s New York City. I don’t think I can add very much to the thousands of books and websites that already provide plenty of their own recommendations. 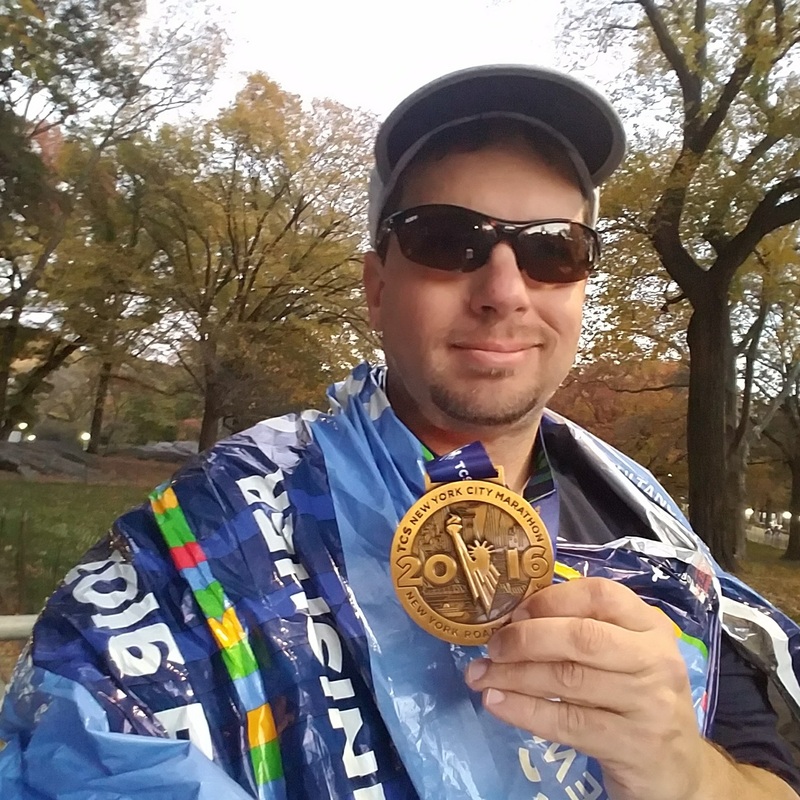 In the end, the New York Marathon absolutely lived up to every expectation I had. 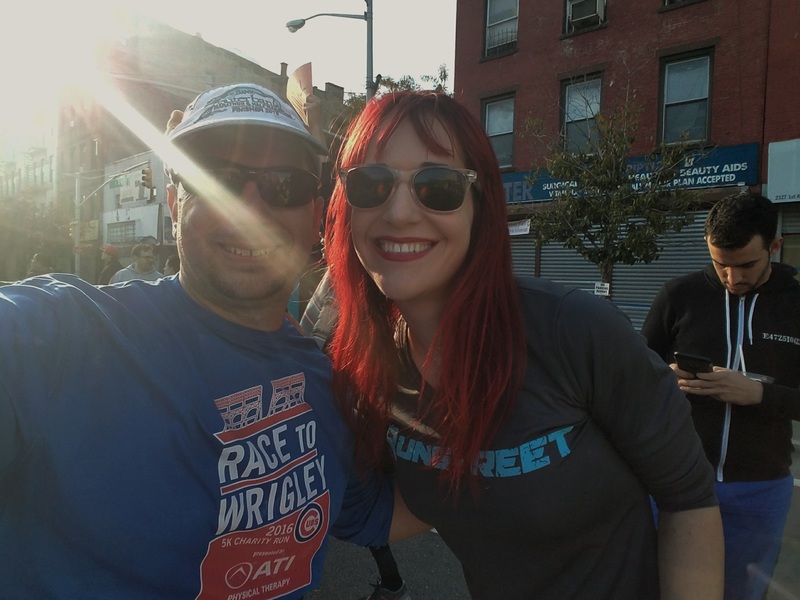 From the race organization to the crowds to the excitement of running through the five Boroughs, I wouldn’t change a single thing about the entire weekend. I don’t know if I’ll ever have an opportunity to run the New York Marathon again. I’m still debating whether or not to enter the lottery next year. Even if this was my only chance though, I’m glad everything worked out the way it did. It was amazing.